The ARION Developmental program is designed to instruct high potential collegiate or post-collegiate athletes in sculling. 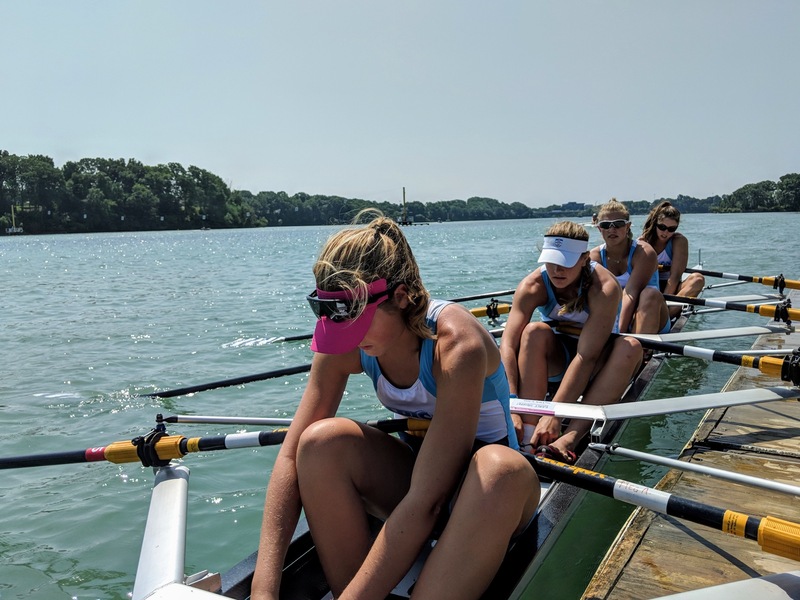 The camp will conclude with the USRowing club national championships (or equivalent) and endeavor to put together a boat or two for the U23 trials. It is possible that some of the athletes may be selected to remain on the ARION Elite team. The camp will be coached by Sam Warren, Manny Valentin, Eric Gehrke, and Eric Catalano. The total cost of the camp is $1250 which includes gear but does not include travel/race fees or housing. The camp officially runs June 5 to July 15, 2019 (there is some flexibility in start date). After the camp ends, there will be an opportunity to remain with the program through the Canadian Henley if you can arrange your own housing. The Under 23 summer development program is designed to expose ambitious Under 23 athletes to the elite small boat training environment. With a focus on helping the U23 athletes rise to the next level, the Arion U23 Program is seeking collegiate women with erg scores under 7:20 & collegiate men under 6:20. The program is open to heavyweight and lightweight and though the erg range is stated (with some adjustment for lightweight athletes), the more significant part of the application will be the communication with the college coach.